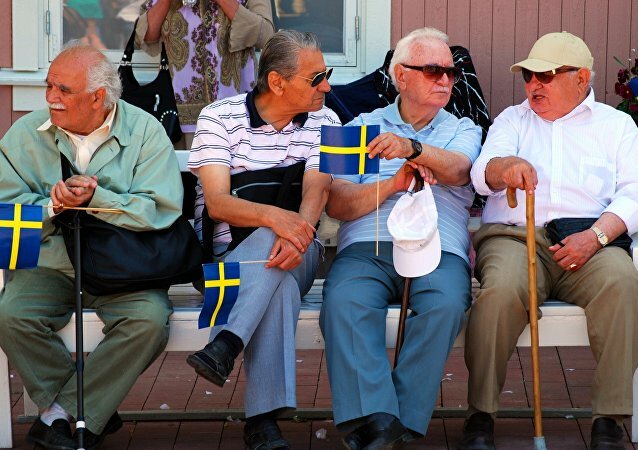 While the Swedish pension system faces major challenges as the population lives longer and fewer children are born, former Swedish Prime Minister Fredrik Reinfeldt claimed that his compatriots will have to work longer and embrace more immigration to keep their pensions. Swedish politicians and ordinary users alike have ridiculed pro-immigration former Prime Minister Fredrik Reinfeldt for his critical outburst against political leaders who "put their country first," such as US President Donald Trump and Brazilian President Jair Bolsonaro. 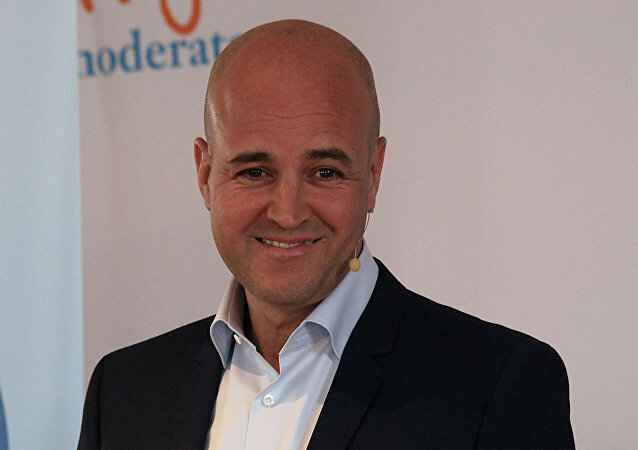 Former Conservative Prime Minister Fredrik Reinfeldt is known for his active pro-immigration stance, as part of which he once urged his compatriots to "open their hearts" and welcome more immigrants. His relentless campaign to make Sweden a "humanitarian superpower," however, has provoked a cheeky reply from the Sweden Democrats. The party, whose former leader once called on Swedes to "open their hearts" in order to accept more refugees and allow the Nordic nation to become a "humanitarian superpower," hascalled for a survey on immigration costs and admitted that introducing an immigration ceiling is also an option. Former Swedish Prime Minister Fredrik Reinfeldt, who is best known for his "open your hearts" rhetoric and ambitions to make Sweden a "humanitarian superpower" has argued that immigration is among the best things that happened to the Nordic country. Despite constantly ranking at the top of various well-being and human potential studies, Sweden has been struggling with ethnic ghettos with burgeoning crime and high unemployment. Of late, eight new districts have been added to the country's list of "especially vulnerable areas," which is the official police definition of a ghetto. Following a series of rants by US President Donald Trump on immigration, Sweden, which is arguably one of the world's most migrant-friendly countries, has been on the back foot defending its policy. And some of these efforts did not fare too well. Sweden is world-famous for its welfare system, generous maternity leaves, short working hours and a culture of prolonged summer holidays. Despite this, Sweden hardly seems a dream place to work. Donald Trump has hardly ever been a media darling in Sweden. In the weeks leading up to the US presidential election, the Swedish media spared no praise for Hillary Clinton, who is clearly the favored candidate in Scandinavia. Sweden's Foreign Ministry went on to classify a report on how Trump's victory may impact Sweden's relations with the US. Last year's unparalleled influx of asylum seekers has left many European countries counting the cost of migration and its side effects. For Sweden, however, this is not an appropriate subject for debate, as migration has been universally lauded as profitable by high-ranking politicians and mainstream media. Last year saw "humanitarian superpower" Sweden take in the largest number of refugees per capita of all the EU nations, yet left the sparsely populated Nordic country struggling with the unforeseen consequences, which have taken a hard toll on the locals. Sweden's former Prime Minister Frederik Reinfeldt is making a media comeback in a new speech, in which he tells his fellow citizens to stop complaining about refugees, went viral.